The advent of script has never managed to eliminate the use of symbols. This is the finding of research carried out by Kyra van der Moezel on Ancient Egyptian identity marks. Van der Moezel studied identity marks from the settlement at Deir el-Medina, on the west bank of the Nile. This is where some 40 to 120 workers and their families lived between 1550 and 1070 BC. These were the workers who built and decorated the royal tombs in the Valley of the Kings, where the legendary King Tutankhamen is buried, along with other pharoahs and elites. More than three thousand years later Deir el-Medina reveals a wealth of archaeological information. An exceptional number of written sources have been found covering trade, the law, religion and literature. Researchers have also found a large number of identity marks, often imprinted on potsherds or as graffiti on the rock walls of the necropolis. For a long time scientists had no idea how to interpret all these symbols, so they were dubbed very unscientifically ‘funny signs’. Van der Moezel and her colleagues distinguish different types of identity marks. Some symbols appear to be geometrical and use squares, triangles or circles, while others were derived from the written language. Finally, the Leiden researchers also found images of beings and objects that in terms of their function are comparable with the symbols that we use today in WhatsApp. Van der Moezel’s PhD is part of a larger project entitled Symbolizing Identity. 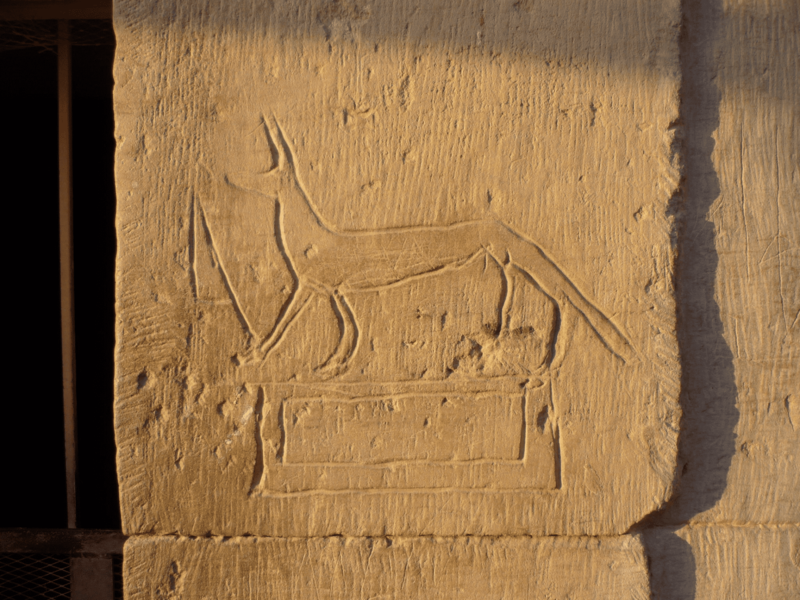 Identity Marks and their Relation to Writing in New Kingdom Egypt, managed by Dr Ben Haring. Haring was awarded a subsidy in 2011 by the Netherlands Organisation for Scientific Research (NWO) to conduct this research.